Today we’d like to introduce you to Marcy Guevara-Prete. I am a native Californian with a background in Broadcast Journalism. About 8 years ago my eyes were opened to the plus size fashion world and it really opened my eyes. As a full-time TV producer now, my goal is to marry my two loves. But, it’s more than just fashion I love, I love helping people feel good in the skin they’re in. This LA life can be a lot of “hurry up and wait.” I love all the opportunities I get to do on-camera work, I moonlight as an expert and host still and get to work with awesome companies like JC Penney and Lane Bryant, but while waiting for my big break, I got bored. I got my masters in the meantime at USC and that led me to become a producer. I think the most important lesson I have learned is that tenacity pays off. You must keep going. You will surpass all the others that give up. Please tell us about The Plus Bus. It’s been a crazy whirlwind to get to where we are now as a company. The Plus Bus was birthed from a shopping addiction between a designer, my partner Jen Wilder, and myself, an influencer with way too many clothes. We held a swap and at the end of the event, which was a huge success, it was so clear that people were craving more plus size options and we were ready to fill that need. We then stored all the leftover clothes in our homes and would schlep out to the Rose Bowl Flea Market. We saw the need again and soon found a quirky space to share which has since become The Plus Bus. It’s not a bus, but it has worked for us. Owning a small business is a struggle, but we call it a labor of love. Both my business partner and I have full-time jobs, so it’s paramount for us to be able to trust our employees and give them the freedom to do what they need to do. 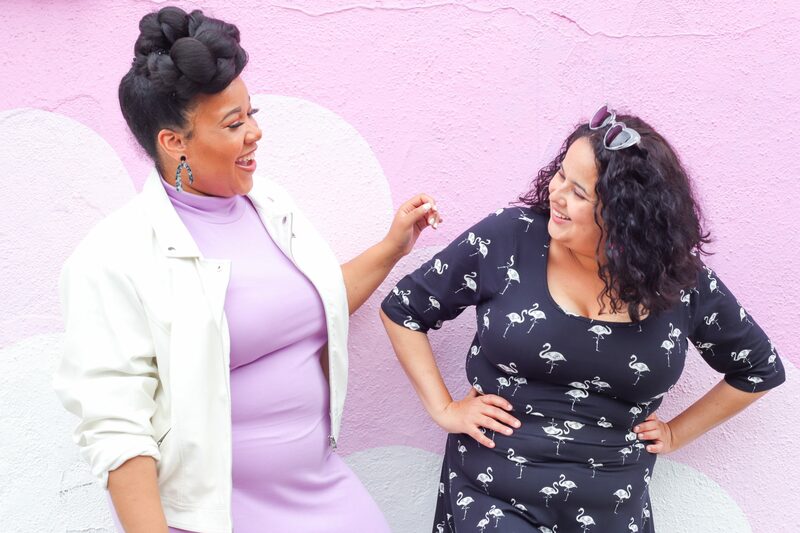 We have learned some lessons along the road, (like not taking all the candy from the candy shop home with us), and also that not every plus size girl in LA is down to be singled out. When we see a cute fat girl we just want to run up to her and say “COME SHOP WITH ME! I HAVE A STORE!” But the reality is that everyone is at a different phase of their self-love journey. 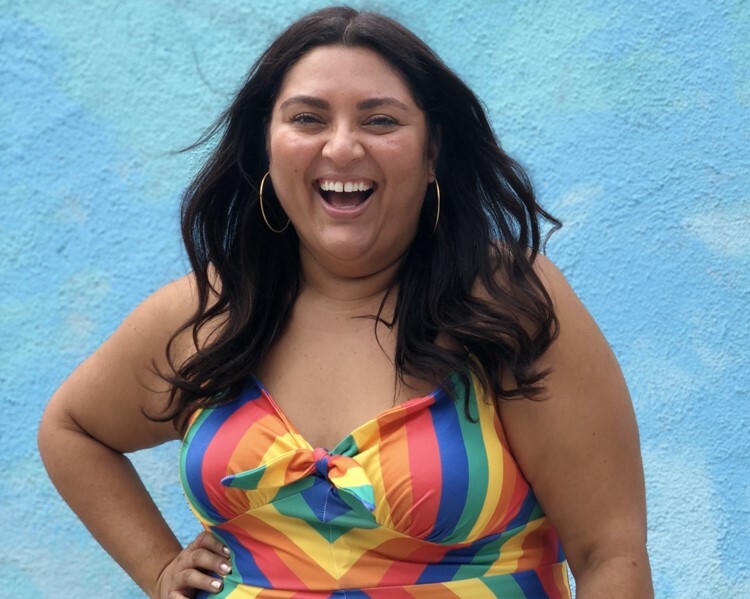 We are really focused on marketing that targets our customer and making sure that every plus size person in LA that wants to dress cute knows we exist. I am very proud that we have kept a brick and mortar business alive in a time where retail stores are closing daily. 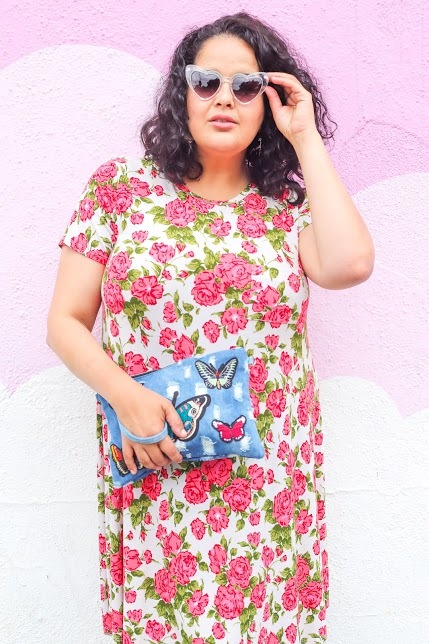 I believe that plus size people deserve the right to find something fab last minute, to try things on before they commit to buying them, to touch fabrics and on top of all of that, to have a space to gather in community with like-minded individuals and feel supported and loved. If you want to be a visible fat person, we have all the tools to help you do that. Don’t come looking for black shrouds at The Plus Bus, you won’t find them! Whether it is events like Fatchella, a mini music festival, comedy or karaoke nights, book launches or shopping the closets of curvy celebrities, we know how to throw a great party and love gathering our community together. We know that it is more than just clothes we are selling. We are selling confidence, we are selling belief in one’s self. We are selling wearing what you want and being true to yourself. I learned everything I know about fashion from Barbie and could spend hours dressing her up. I know now that my sense of style and love for dress up came from those afternoons on the floor of my bedroom surrounded by Barbie and her posse. They would have adventures and now I am living them!